Shaping is a fairly hroad category when it comes to workshop skills. In one sense or another, just about anything you do to a workpiece with a tool alters its shape. But this chapter concerns .shaping exercises that don't necessarily change the size of the workpiece, but rather alter its appearance or, in some cases, prepare it to be joined with another work-piece. Routing, planing, filing and shaving or paring are the activities normally done for this purpose. 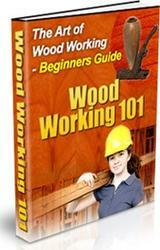 Shaping is the area of woodworking where hand tools are still used most prevalently. I [and planes, tiles, drawknives, spokeshaves and other hand-powered tools offer a level of precision and control that's hard to find with power tools. But tor t heir part, power tools (particularly the router) are much faster and, for some types of shaping tasks, more accurate. 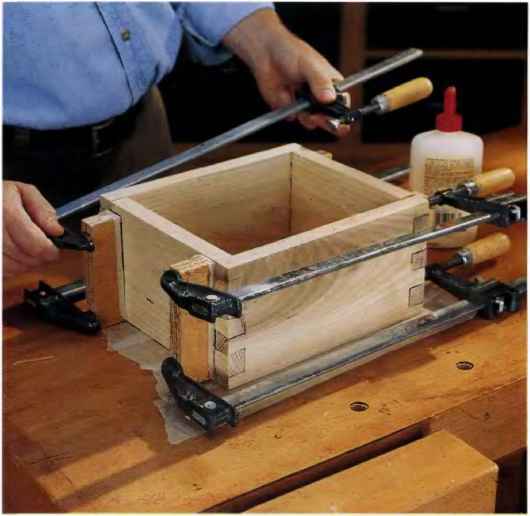 Making grooves, rabbets, dovetails and other joinery cuts is a perfect chore for the router, provided you use the correct router bit. Shaping complex edge profiles, like ogees and coves, is much easier to do with a router bit than with any hand tool.